So what if Dallas is always behind the game when it comes to season changes (highs in the 80s this week, UGH)? We’re still here to celebrate ALL THE FALL THINGS. This pumpkin spice oatmeal a delicious fall-twist on the basic oatmeal staple. What’s great about this recipe is that it stays away from added sugar and instead relies on a tablespoon of maple syrup to sweeten it up. The pumpkin puree, vanilla extract, and pumpkin pie spice round out this oatmeal to make it pumpkin-perfect for autumn. The fall season always makes us want to cozy up in our homes on crisp mornings, and what is cozier than a pumpkin scone?! This recipe also stays away from the added sugar, bringing in maple syrup and pumpkin puree for sweetness. Top it with a Greek yogurt and maple syrup glaze, and you’ve got the perfect pumpkin treat for a slow Saturday morning. To all the gluten-free babes and dudes out there who are mourning the loss of delicious pumpkin breads and muffins, this recipe is for you: Flourless Pumpkin Muffins that are still moist and delicious. ALL IS NOT LOST. Y/N: Fall isn’t really fall without that first sip of a Pumpkin Spiced Latte. (Yes… the answer is yes.) But fancy Starbucks lattes every morning can really add up. Good news: You can bring the PSL to your own homebrewed coffee with this Skinny Pumpkin Spice Latte recipe. 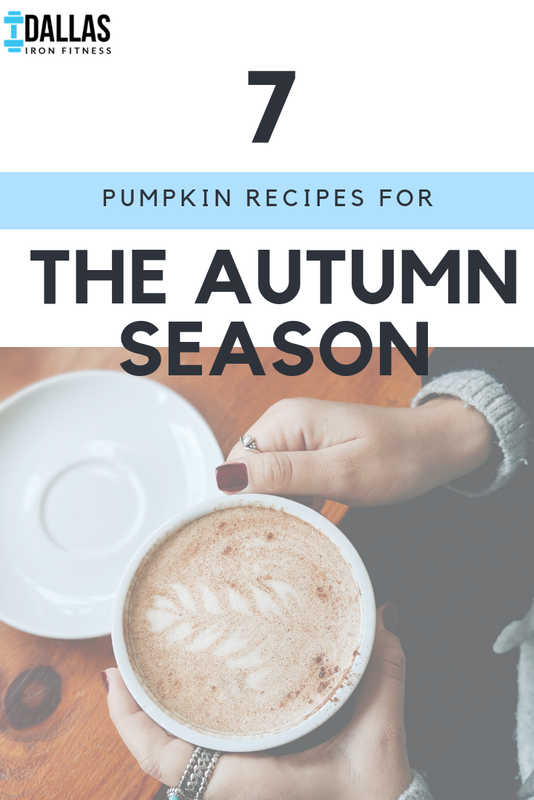 Besides saving money by making your PSL at home, this will also lower your sugar intake: the regular Pumpkin Spice Latte at Starbucks has 50 grams of sugar, whereas this recipe only has 8.4 grams of sugar (2 teaspoons). You can even cut out sugar altogether by going with a natural sugar substitute, like Stevia. Yes, another recipe to spice up our coffee… can you tell we love our coffee? This Skinny Pumpkin Spice Coffee Creamer is great for those kinds of mornings where you’re grabbing your coffee to go while slipping on your flats as you try to respond to an urgent email from your boss sent at 5am. When you have no time to make a homemade latte but still want to add in a little PSL love to your coffee, this creamer recipe is here for you. Not only will it add a delicious pumpkin spice twist to your morning coffee, but it’s also a healthier alternative to store-bought creamer, using unsweetened cashew milk and stevia rather than whole milk, sugar, and whatever other unpronounceable chemicals you find in ordinary coffee creamer. Whip up some of this on a Sunday afternoon for a week of pumpkin spice coffee goodness! Pumpkin bread: basically the epitome of all fall baked goods. This Healthy Pumpkin Bread recipe has less sugar, but it’s no less delicious. You might find us on a cool Sunday afternoon baking up a couple of these for friends (if we don’t eat both first… TBD). Okay, how about making everything pumpkin-flavored with this pumpkin butter recipe?! Admittedly, this recipe does have a cup of brown sugar, so you’ll need to use this butter sparingly, but hey, a treat can be nice every now and then, especiallyyyyy when it’s a pumpkin treat. Health tips & more on theour blog,Facebook, and Instagram!